Home News First Trax It’s Snowing Pretty Hard this Morning Across the Ski Resorts! It’s Snowing Pretty Hard this Morning Across the Ski Resorts! Nothing gets my juices flowing like SNOW and good gracious have we had it lately. After 4-5″ of snow earlier in the week, we saw another 7″ or so of snow on Thursday morning here in the High Country of Boone, Banner Elk and Beech Mountain. As I am sitting here updating the Friday morning report it is snowing rather moderately. I’m also seeing reports of snowfall across the entire Southeast and mid-Atlantic. Snowshoe is reporting ANOTHER 2″ of new snow! Meteorologist Brad Panovich has updated the latest skier’s forecast. Check that out. A look at the Bottom of Ball Hooter this morning! I am amped up and ready to head to Snowshoe, West Virginia today to begin the annual SkiSoutheast Summit. Kenny Griffin is already AT Snowshoe this morning and he texted me last night that he had never seen as much snow as there was pushed all around the top of Snowshoe last night. It has been an EPIC run of natural snow of late and that should make for an awesome Summit Weekend. Snowshoe saw another 2″ of snow overnight taking them to 31″ of snow in the last 7 days and I noticed this morning that they are 100% open today with all 60 trails. THAT will make for some awesome turns. For the 100 or so of you fellow SkiSoutheast-ers who are headed up, Rusted Root’s concert begins at 9pm tonight in the Connection. Be sure to pick up your FREE concert tickets in THE DEPOT. It’s not too late to join in on the fun of hanging out, skiing and riding with a bunch of fellow, snow-loving friends. Call Snowshoe Lodging today, mention SkiSoutheast and you’ll get a 20% discount off all on mountain lodging and you can also get a two day lift pass discounted AND free concert tickets for tonight’s concert. Also if you’re on the mountain with us this weekend, Snowshoe’s Marketing Director, David Dekema will be giving us a tour of the new, boutique hotel, The Corduroy Inn on Saturday evening. I’ll be heading in the direction in just a bit and I plan on skiing at Silvercreek this evening so come and look us up and join in on the fun of riding with friends – old and new. Also if you’re AT Snowshoe Saturday morning – meet us at the top of Ball Hooter for some turns together at 8:45am or so. We’ll make some turns, get some photos and videos and enjoy the day. I heard from John Cossaboom, the popular Winter Sports Director at Ober Gatlinburg this morning where it’s snowing lightly this morning. Here’s the latest and greatest for today. SEE YOU ON THE SLOPES! 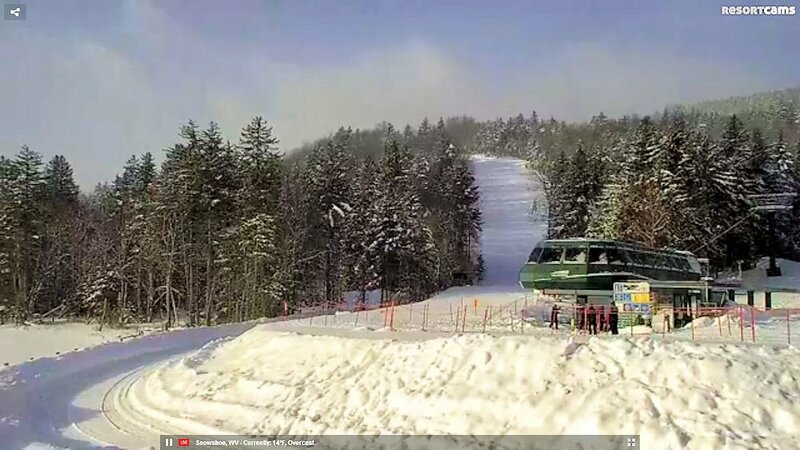 Snowshoe Mountain – 6° – 2″ of new snow – 31″ in the last 7 days – 152″ on the season. They are 100% open today with all 60 trails! Awesome conditions! Rusted Root is in concert tonight STARTS at 9pm in The Connection. Come join us at the SkiSoutheast.com Summit! 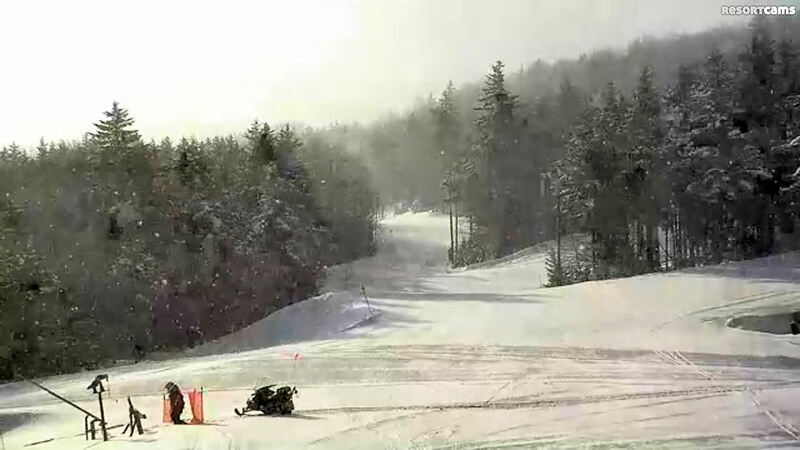 Canaan Valley – 20° – 1.5″ of new snow – 123.2″ on season – All 44 of the trails are open today! Legendary pro snowboarder, Pat Bridges, and the Burton Team riders are at Canaan for a photo and video shoot! Come watch the show, check out the new set ups, and meet your favorite riders! They’ll be on-mountain Fri, and possibly even Sat am. Winterplace – 14° – 1″ of new snow and 83″ on the season. 100% open with 27 of 27 trails. Ober – 20° – Light snow falling this morning – 11″ in last 3 days and 32.5″ on the season. They have 9 of 10 trails open. Cataloochee – 13.8° – Trace – 32″ on season – 18 of 18 trails open. Sunday, March 1 Cat hosts their BIG One Day Season Pass Sale and Seasonal Rental Order Day. Pass prices on this day will be the lowest of this year and next and you will be able to ski for the rest of this season and next on the pass you purchase on March 1. There will be special pricing not only on midweek passes but for every pass they offer. These special prices (including our midweek season pass for $219) are available online now until sale day and then in person, or online on March 1. Pass pricing will go up on March 2. Also, seasonal ski and snowboard rentals will also be available for order now as well. Passes ordered now through our sale day will not be valid for skiing or riding until March 1. Next articleOber Gatlinburg Ski Resort Receives 11″ of Snow!